Are you web developer? There are some features which you can easily place in your website. All you have to do is putting iframe element to some part of your website's code. There is list of the widgets which Volleybox.net actually provides for you. You could use them for free. 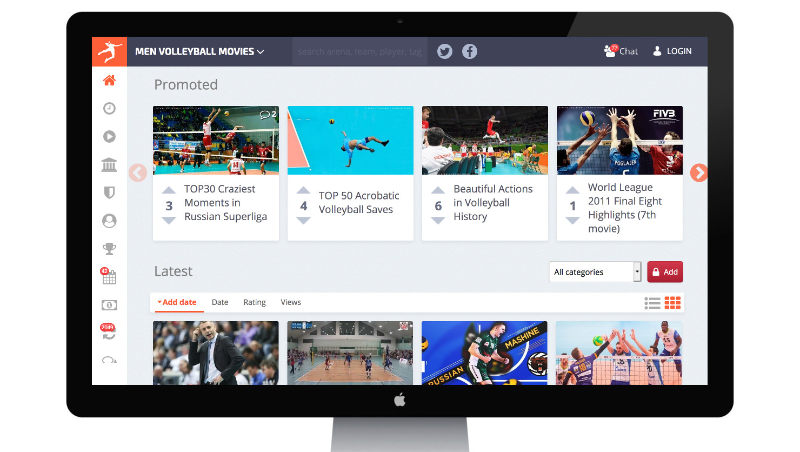 Do you want to show users of your website the newest transfers from volleyball world in the simple way? There is widget for you. 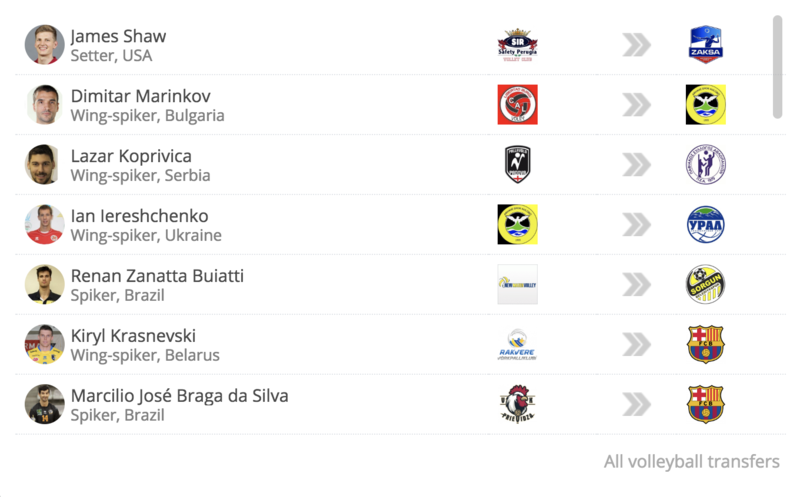 It will display last accepted transfers from the list. You could specify widget language and you could choose transfers only from some league. How to generate the code? Go to the transfers list click on the GET CODE button. You will see window in which you could choose widget option. Do you have some website about volleyball club? You could display soonest matches of the team there! Just put our widget there. Go to the profile of the team, find the "Soonest match" box on the left menu and click on the GET CODE button.